"You can survive for three weeks without food, but you can survive for only three days without water." Simply put, hydration is a critical element of endurance training and racing. A little experimentation needs to be done along the way as each athlete will have both different requirements and responses from liquid intake. Generally speaking though, for any exercise session under one hour water should do just fine as the demands on the body will not be as high, over an hour and some sort of sports or electrolyte drink becomes preferable. Water is our largest daily requirement, much more so than food. The standard ‘eight glasses’ which is commonly referred to is a good starting point, although this amount tends to lean more towards your average, non-athletic individual. As an athlete the amount of fluids we need to consume vary proportionately with the duration and intensity of exercise that we subject ourselves to. In basic terms we need to replace what we have lost through perspiration which is why adequate hydration before, during and after is so important. We can easily lose upwards of 1-2 litres of water every hour solely through sweating… and there are not many athletes I know of that manage to drink a litre of fluids every sixty minutes! 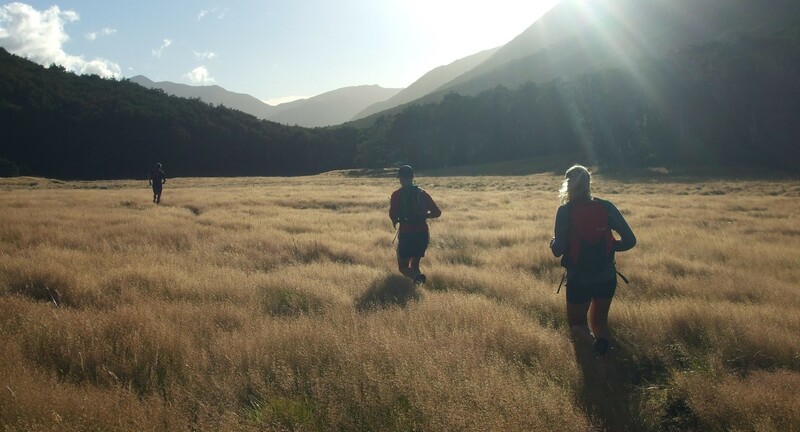 How Should Ultrarunners Approach Hydration? 1. Drip Feed your Fluids. This simply means rather than aiming to drink 500mls every hour (and I’ve ran with people that have tried to drink 400mls of that allocation at the 58 minute mark – often not the wisest approach), you frequently sip every 10-15 minutes. This way you are teaching your body to handle a gradual supply of liquids, calories and energy, the up-shot being that it can usually deal with it a lot better than having to figure out how to stop 500ml of bright blue isotonic liquid sloshing around in your stomach. 2. Alternate between Water and Sports Drinks. For myself and a lot of people that run over long durations, after anywhere from 6-10 hours your stomach can become very sensitive to carbohydrates. This can present itself as simply as having a stomach ache, sore to touch or even nausea and sickness. Drinking water early on as well as sports / electrolyte drinks can often be the solution to this problem. 3. Ginger Ale. Can help to settle the stomach when you aren’t feeling the best. Why use a Sports Drink over Water? 1. SODIUM. One important advantage that sports drinks have over water is that they contain sodium (salt). 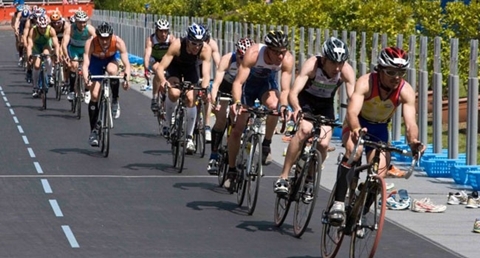 By drinking plain water during endurance sports you take a risk of diluting the sodium concentration of your blood. This is a potentially dangerous condition known as hyponatraemia which tends to be most common amongst endurance athletes. About 90% of our sweat comes from the blood (with the remaining 10% coming from water that glycogen releases when it is metabolised), so it’s important to try and get fluids back into the bloodstream. Sports drinks allow this to happen faster because the concentration of them is a closer match to that of the blood itself, and this is because of the added electrolytes, carbohydrates and minerals. •	Sodium maintains the fluid volume outside of the cells. • Potassium	works with sodium to maintain fluid volume. • Chloride	regulates fluid volume inside and outside of cells, offsets the rise in blood pressure caused by exercise and helps to prevent bone loss and kidney stones˜ 3.5 grams/liter. 3. ENERGY. Water has no calories. Sport drinks contain carbohydrates which provide a steady supply of glucose that the working muscles can use for energy. The brain is adept at noticing these carbohydrates coming in and signals that the body can work a little harder. So it’s a big thumbs up here – increased energy resulting in a higher output, greater endurance capacity and increased intensity levels. 4. RECOVERY. Pretty simple this one: sports drinks should be able to offer an enhanced recovery time by optimising hydration and reducing overall glycogen depletion because of the extra carbohydrates they feed the body. This means less muscle damage and soreness as well as reducing the risk of you getting sick from a lowered immune system (one of the downsides of hard training and/or racing). If you are in any doubt that you are dehydrated after training then you should use the scales. As a rough guideline, for every kilogram you lose through exercise you need to replace with a litre of fluids. So there you have it, just a few of many reasons why you should be putting something else with the water you tip into your drink bottles every day! Water is a fantastic cleanser of the blood and helps maintain alkalinity in the body, and it is impossible to get sick if your body is in an alkaline state. If you drink coffee, tea or other diuretics remember to drink a glass of water afterwards to replace any loss of water they may cause. Find out what works for you and experience a better quality of skin, mental clarity and overall health. James Styler, born in the United Kingdom, is now a Personal Trainer and Triathlon Coach in ChristChurch, New Zealand with over ten years hands-on experience with fitness and health. 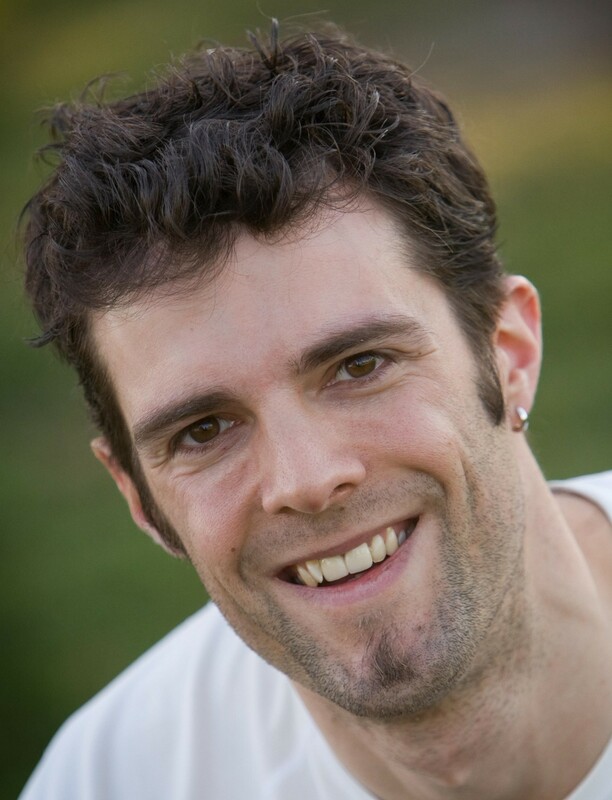 James also writes for VO2max magazine, writing the "Ask The Trainer' column and is a Registered Exercise Professional. James was the 2004 U100kg New Zealand Powerlifting Champion, finished 15th in the Open Men St James 69km Ultramarathon, has completed 7 Marathons and 30 Half Marathons, and finished the Three Day Endurance Challenge’ where over 72hrs James ran two marathons, cycled 280km and lifted 100,000lbs of weights raising money for Heart Children NZ. See James' 1Vigor Log Calendar.